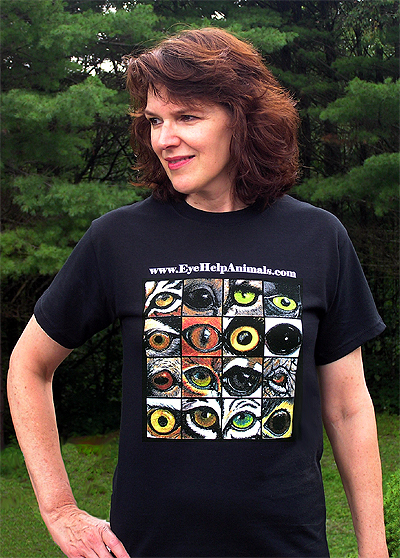 Our 100% cotton pre-shrunk t-shirt is extra soft and comfy! 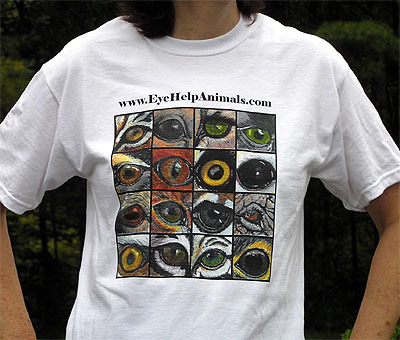 This exclusive Eye Help Animals t-shirt features 16 miniature animal eyes originally painted by artist and cofounder of Eye Help Animals, LLC — DJ Geribo. The long-lasting 6-color silkscreen will withstand many, many washings and still look great! One of our most popular items. 25% of the profits on every item we sell goes to support wildlife conservation and habitat preservation.